GN Solids Control has manufactured decanter centrifuges for many years. GN professional engineers are devoted to provide the best quality decanter centrifuges to the world. 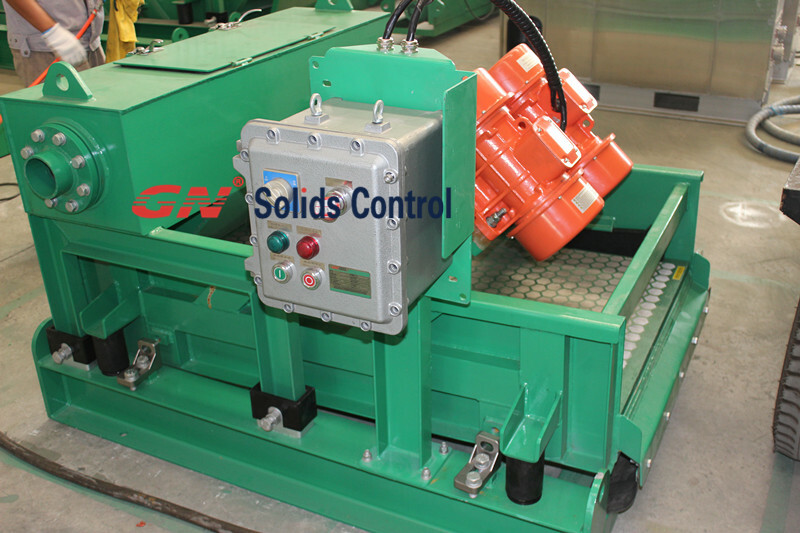 GN Solids Control is the first Chinese company who can provide solids control and drill cuttings management systems. With so many years fast development, GN Solids Control and GN Drill Cuttings Management Systems are getting to known by the world famous clients. Recently, GN Solids America LLC received many inquiries on GN decanter centrifuge. Actually, GN Solids Control manufactures and sells 250 sets to 300 sets decanter centrifuges to over 60 countries every year. The following shows one client who is interested in our 9 inch centrifuge GNLW223. We are interested in the decanter centrifuge GNLW223. The intention is to separate finer partials from dewatering fluid. This fluid should contain partials less than 75 micros. 2-5 micron will ideal. The flow capacity is about 30 to 50 GPM. For planning and field connection, please provide details on all connections, overall size, any installation requirements. Is there any restraint at the water discharge port and muck discharge port? In the other words, how to keep the slurry in the bowl long enough before it gets discharged? a. The differential speed between the rotating bowl and screw propeller will determine the time of the slurry inside the centrifuge. Differential speed is 35:1, you can change the speed by using different pulley and belt. Generally speaking, the higher of the running speed of the screw propeller, the shorter of those slurry will be stay inside. Working principle is as following shows. Is a tank needed to collect discharge water under the centrifuge? Can the 3” discharge port be connected to a 3” pipe and deliver water ~100’ away under a certain pressure? From theory, it will make sense. Actually, all the water (or fluids) will be collected by a tank first, and then GN use another pump to transfer it to somewhere. However, when you treat different fluids with different density and viscosity, the separating parameters are not the same, all the above parameters are just for reference. GN Solids America can send our engineers for after sales service if you need. GN mini shaker are also used to separate the solids before feeding into decanter centrifuge.